We’ve all seen Indian movies with wedding scenes at least once in our life. 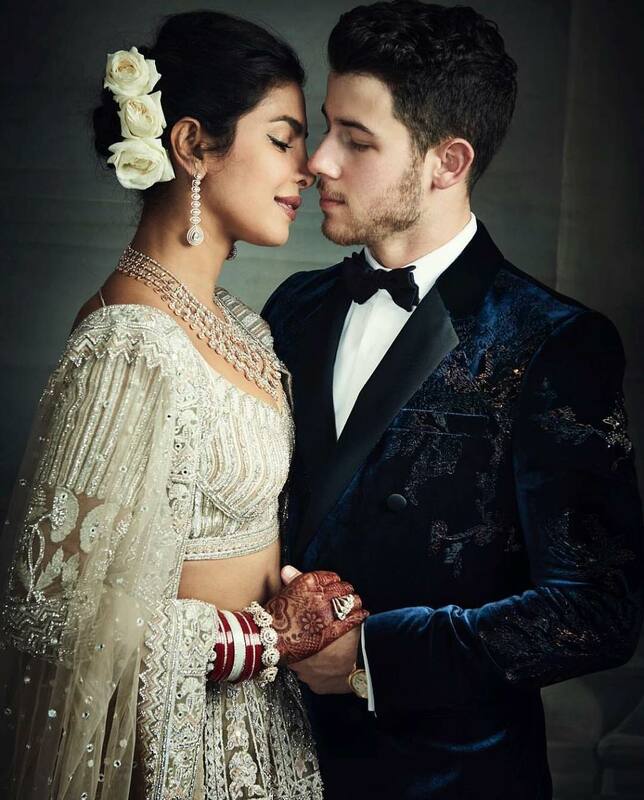 Well, let me tell you these scenes have nothing on Nick Jonas and Priyanka Chopra’s happily ever after ceremonies. 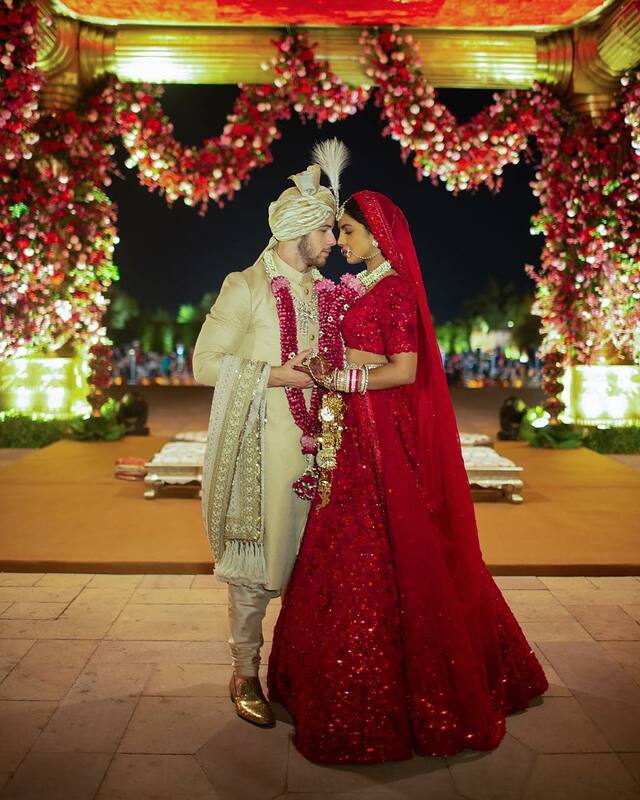 The duo’s wedding ceremonies were a beautiful merging of Indian and American cultures and the fact that both lovebirds are performers made everything look even more magical. After their Puja in Mumbai, the couple arrived Jodhpur, Rajasthan, India. They had a fun day with their party of family and friends on Thursday and on Friday, another Indian Wedding ritual, the ‘Mehendi’ was carried out. In a typical Indian wedding, the bride and groom’s family and friends all gather as the bride gets an elaborate henna design on her hands and feet. This ceremony is known as the Mehendi and happens one or two days before the wedding. 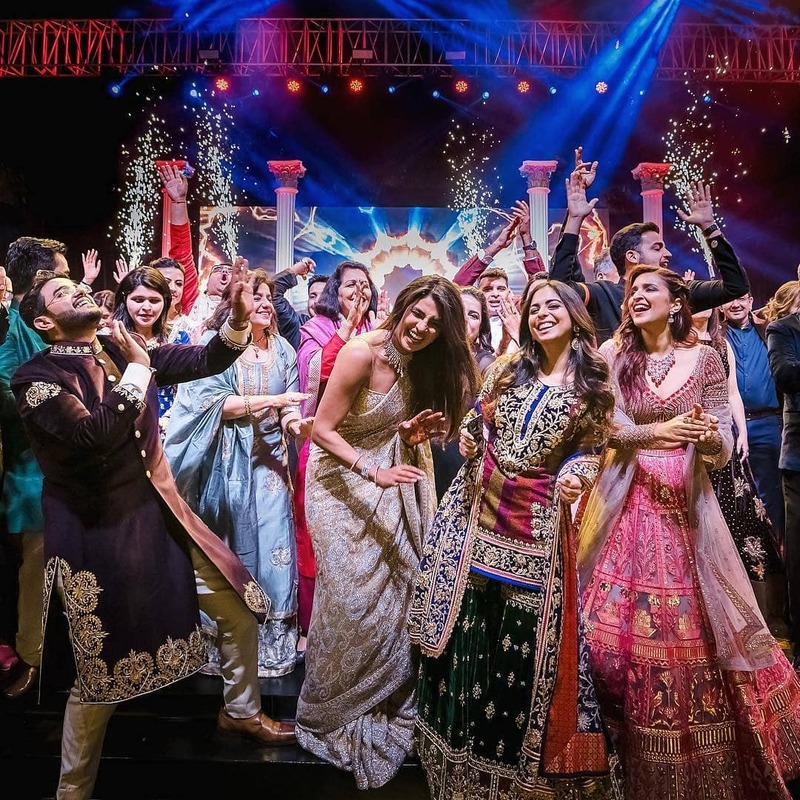 Indians love to sing and dance and so it’s no surprise that a singing and dancing competition between families would definitely be in their wedding tradition. 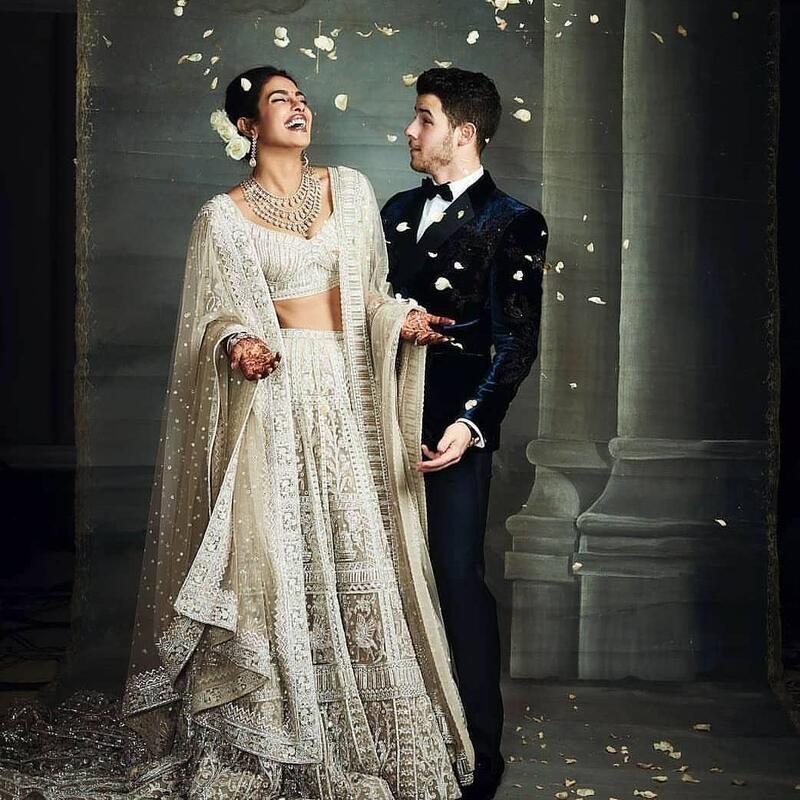 This pre-wedding event is what’s referred to as the ‘Sangeet.’ Both Priyanka Chopra and Nick Jonas’ families performed at their concert-like Sangeet. And this was the event the couples had both been looking forward to. 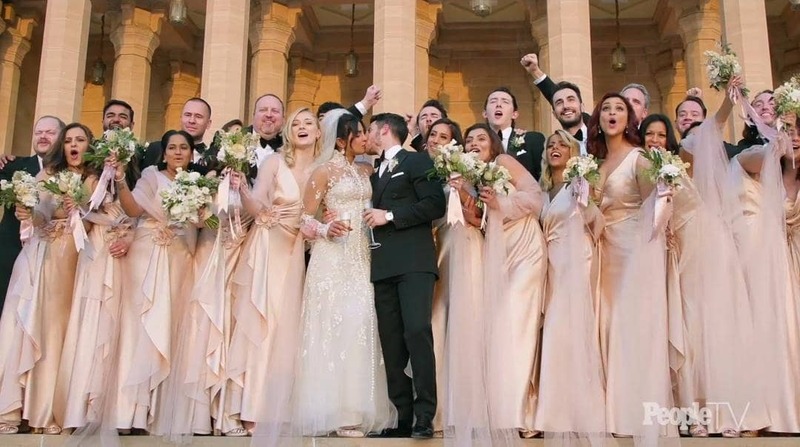 The lovebirds got married in two lavish ceremonies to celebrate the union of their cultures and family traditions. 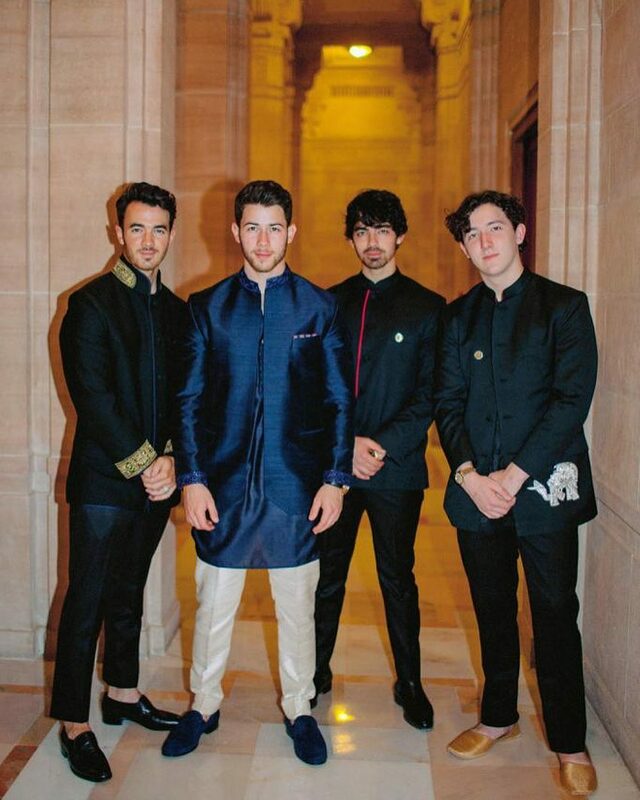 The first was a beautiful white wedding officiated by Jonas’ father. 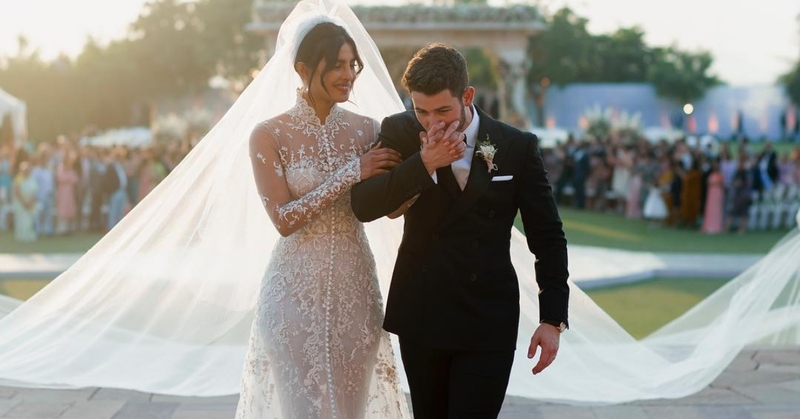 Both Priyanka and Nick were clad in Ralph Lauren for the wedding, and so were their bridesmaids and groomsmen. The bride’s Ralph Lauren wedding dress with her 72 feet long veil was even more special as she became the 4th person and first non-family member that the designer has made a wedding dress for. The weekend ended with a Bidaai; this is where the Chopras’ blessed Priyanka’s new life with her Husband. Both wedding ceremonies were simply spectacular and took place at The Umaid Bhawan Palace.